Be sure to snag this one. It’s limited to the first 100,000 people, so go now! 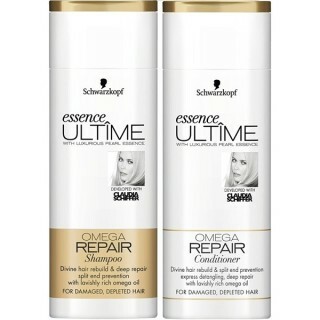 Just head over here and sign up to receive a free sample of Schwarzkopf Essence ULTIME Omega Repair and Moisture Shampoo and Conditioner! I love trying new hair products, so this one is a definite ‘go’ for me! You’ll also get a $2 off coupon to use on the product if you decide to buy the full size down the road. I’ve never tried Essence brand before. Maybe this time! Thanks for sharing. Thanks for this. I got my sample request in. I have never heard of this brand. I like to switch up my shampoo and conditioner every now and then and I sure could use the repair aspect of it. They are probably gone now ): Oh well. Maybe i will find a sample somewhere lol. I was able to snag this freebie back then! I can’t wait for it to arrive. This is a huge brand in Europe…I can’t wait to get my samples! this is an awesome sample to not to miss. Schwarzkopf is one of the best brands in hair shampoo and their prodiucts are one of the best in the industry. Thanks so much for this post. I requested and it says u will be receiving it. I love trying new hair products. I’ve never heard of this brand before. Thanks for sharing! I tried to get mine but I kept hitting register and nothing was happening… I’ll try from computer…. Ty! I would love to try this product ive never heard of it before!! !